A number of local community groups working on issues relating to transport and the environment have been looking at ways of sharing information, working collaboratively and to act as a focal point for consultation and engagement on matters related to sustainable transport with other public and private bodies. 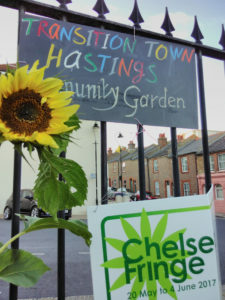 The Hastings Sustainable Transport Forum is now being launched as the culmination of that work. This body will be meeting on a quarterly basis to consider developments and liaise with public bodies to improve engagement and consultation. The HSTF website contains details about the constitution.